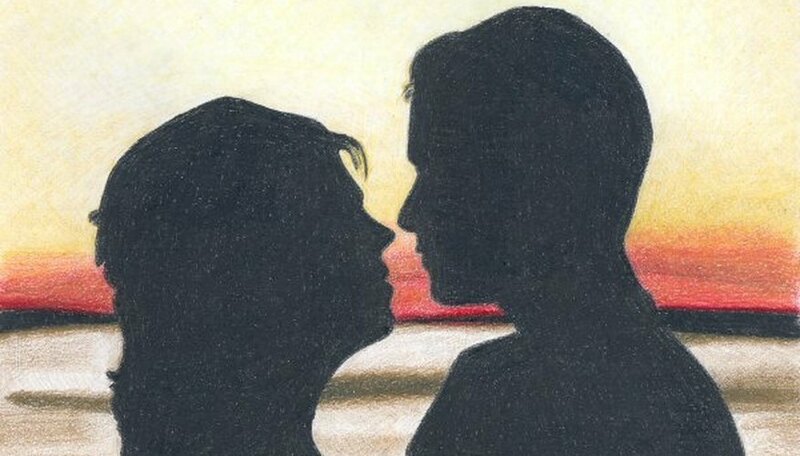 If you're new to art, drawing silhouettes on a beach is a great way to get started drawing romantic sketches. Ideally, there should be a glorious sunset in the background and the scene should be rendered in full color. Drawing a colorful romantic sketch is helpful if you're still getting used to working with colored pencils or pastels. Learning to depict sand, sea and sky are very much dependent on learning which colors to use and how to combine them. Map out the basic outline of your sketch in graphite pencil. If you're uncertain of your drawing skills or want to increase the accuracy and speed of your drawing, trace your source image over a light box or use an art projector. 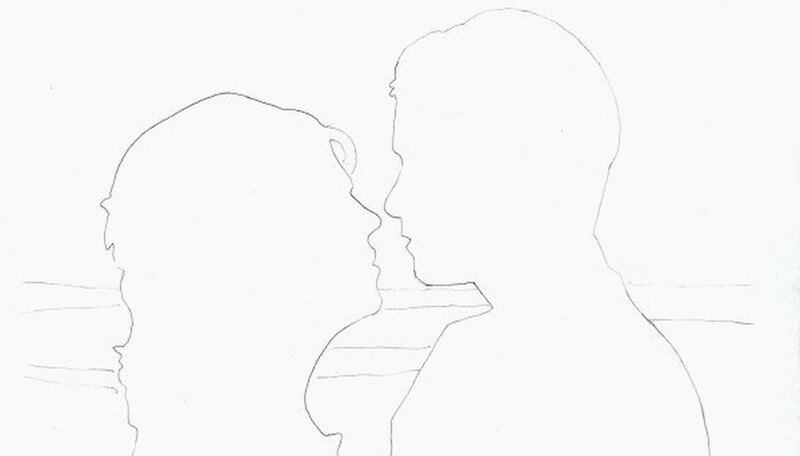 Color in the silhouettes lightly and any other very dark areas of your romantic sketch in black pencil or pastel. Darken the silhouettes with your black pencil or pastel. 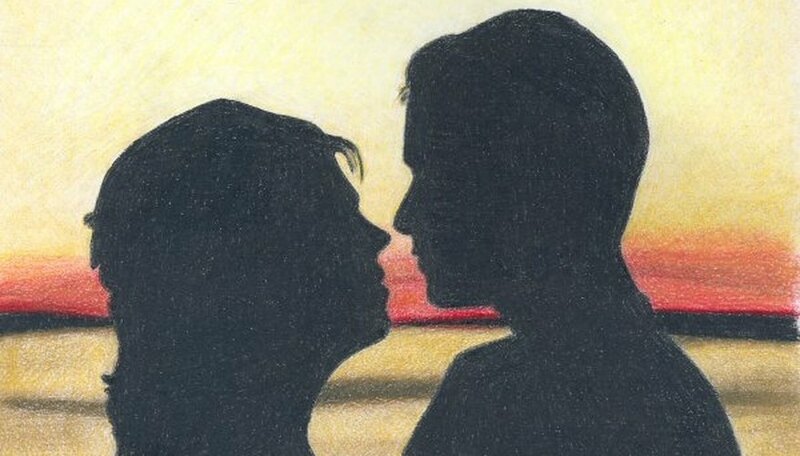 If you're using colored pencil, it will take some time to darken them fully. Continue cross hatching and apply firm pressure to the pencil. Then fill in any obvious areas of white paper which is showing through the pencil. Blow away any pencil crumbs. Use a kneaded eraser to erase any smudges of black which have gotten on the white paper. Fill in the brightest areas of the sunset. Match colors as closely as possible. You have some leeway here. Start with a reddish color such as crimson lake, magenta or burnt orange for the color closest to the horizon. Then begin to fill in yellow ochre just above the reddish hues. Use burnt umber and burnt ochre to represent shadows in the sky. Continue filling in yellow ochre around the edges of the picture, but leave an area bright white behind the lovers to create a halo around their heads. Begin filling in the sand texture in the background. Start by working in the shadows with raw umber. Lightly shade in some raw umber in the lightest areas of the sand. Work in some yellow ochre in the sand area. This should be almost uniform, but you may color more densely in the shadows in the sand. Color burnt ochre into the shadows in the sand. Darken the yellow ochre in the sky, and then color a canary yellow over all the sky area which is above the reddish hues on the horizon. Take breaks to stretch your spine and flex your hand when doing intensive drawing work. Make sure that you represent diffuse shading and sharp edges properly, as this directly affects the dimensionality of your finished sketch. Claerr, Jennifer. 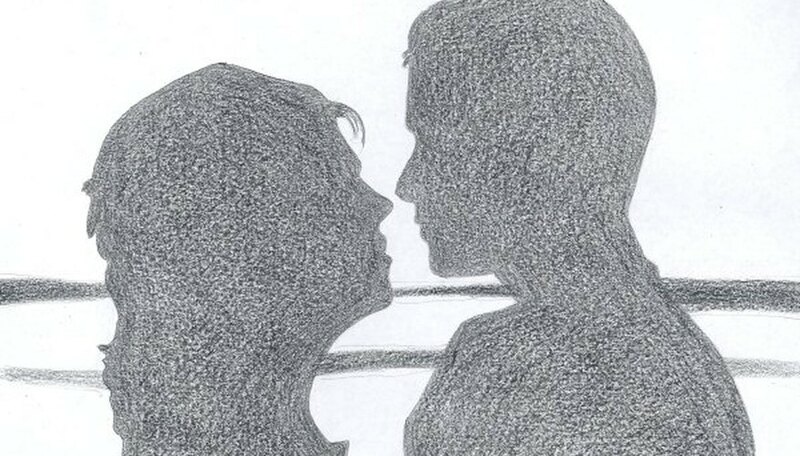 "How to Draw Romantic Sketches." Dating Tips - Match.com, https://datingtips.match.com/draw-romantic-sketches-4474526.html. Accessed 18 April 2019.